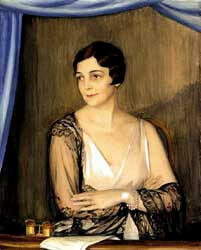 The first Circle was organized May 6, 1927, and named Founders Circle, with Mrs. John Ringling as its first President. Bignonia Circle was organized within the year and Indian Beach circle in 1932. Nov. 14, 1933, the Federated Circles of the Garden Club of Sarasota was formed with five circles joining the Florida Federation of Garden Clubs and National Council of State Garden Clubs. 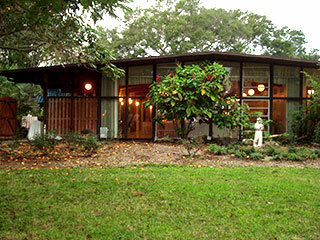 Many more Circles were formed and in 1947 the name changed to the Sarasota Garden Club and became incorporated in 1955. Over the years, Circles grew and waned in number from 5 to 12. In 2008, the members voted to reorganize the Club into a non-Circle Club run by a 19 member Board of Directors. After many years of planning and saving, the Garden center was built in 1959 on land leased from the City of Sarasota in the Civic Center. It was built in a Japanese style and contained a Shoji enclosed garden. The first board meeting was held in the new building, January 11, 1960. In 1962, a Garden House, in a similar Japanese style, was added and named “The Selby Garden House” in honor of Mrs. Marie Selby, the donor. Air conditioning was added to the building in 1982 which helped in renting the building for weddings and receptions. In 1993 an addition was built on the northeast corner for our growing library and to be used as a conference room. The “Souders’ Library” was named in honor of major donors, Charles and Julia Souders. In 2009, the building was placed on the City’s Historic Register. Our “Blooming Chatter” newsletter began as a one-page communication called “The Frond”, written by the Club President and Executive Committee. It was renamed by a long-ago member, Frankie Wayne of Poinciana Circle, one day when several meetings were going on at one time in the Center. During a meeting to discuss a name for the new newsletter, with a group of horticulture members trying to write the Flower Show Schedule nearby, Frankie Wayne exclaimed, “I cannot hear for all this “blooming chatter!” The rest is history. Judy Schneider was the first Editor. SGC’s first Flower Show was held in 1931 and, with the exception of 1936 and the War Years, an Annual Flower Show has been held at the Garden Center, Robarts arena, Sarasota’s Main Plaza, the Visual Art Center or Municipal Auditorium. The SGC Logo was adopted in 1982 and was designed by Lois Staat. The Club butterfly, ‘Sulphur’, was also adopted that year. In 1995 and 1996, a Butterfly Club was formed by seven members of the SGC. The club was so successful that they built a Butterfly Garden on the Garden Club grounds and invited non-Garden Club members to join. In 2001, a grant to create a handicapped accessible Memorial Brick pathway through the Garden was received. In 2009, the garden was named “The Catherine & Richard LaBrie Butterfly Garden” in recognition of the work they have done to promote butterfly gardening throughout the community. Over the years the Sarasota Garden Club has undertaken many projects of civic beautification and has been involved with the community in awareness of environmental concerns. The Club has promoted knowledge of floral arts, gardening, conservation and the preservation of our fragile ecology.